Young adult skin is more exposed to UVA/UVB rays, pollution and extreme weather conditions. These results in dead skin cells and accumulation of impurities on the skin's surface to make it appear dull and darkened. why ozone brightening complexion hydrant? It is a superior organic formulation that improves skin's complexion and glow with aloesin, barabaloin, polysaccharides, vitamins, radical scavenges and soothants present in their natural from. Use regularly for bright glowing skin day after day. Aloe barbadensis extract 5%, Glycyrrhiza glabra extract 0.1%, Emblica officials extract 0.2%, Citrus limon extract 1%. Preservatives methyl paraben, Propyl paraben. It comes in a green colour tube with screw open white lid. It is travel and user friendly. There will not be any struggling to pack this cream with you when you traveling. The colour of the cream is muddy white or you can call it ivory. The texture is somewhat between creamy and lotion. It smells weird and I totally don't like it. I have used it as a day cream during last winter .I expected that there should be a lot of cream filled inside the tube after seeing its large size, but the brand used Layz chips pocket trick here. There was only half of the tube filled by cream and remaining filled by air. Also you will need a lot of cream than usual if you have very dry skin. I don't know why they named it as hydrant as it is not doing hydration perfectly. I do not recommend this cream for dry skin people. I have combination to oily skin so this cream suited me somewhat. I do apply bit extra amount of cream as I felt tightening of my skin. This cream helped me a lot to recover from my tanned skin. After applying it for more than a month my skin looked more clear and bright. It faded my pimple spots well. It doesn't made my skin oily or too dry. When I used it during summer it behaved really well. Somewhat I felt that whenever I used this cream my skin looks bright and clear but when I stop using my skin will turn to the old story. Overall I feel good about this cream but it is overpriced. It comes in a tube package. It clears the skin by regular use. Gives a bright look and doesn't makes the skin oily. It doesn't hydrates the skin much. 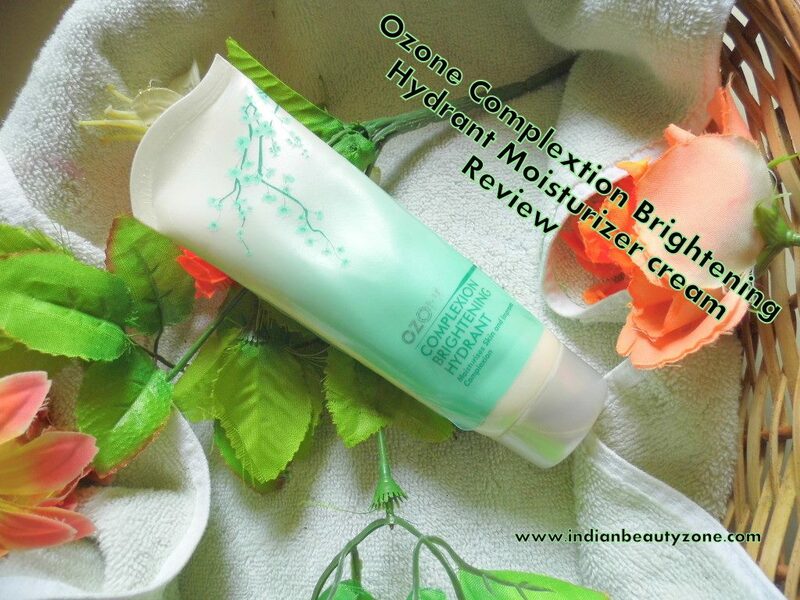 Ozone Complexion Brightening Hydrant is a good cream for oily skin people who wants to get rid of tanned skin and their pimple marks.